This entry was posted in Photo Challenges and tagged birds, dpchallenge, india, nature, photo, Photo Challenge, photography, symmetry, taj mahal, travel. Bookmark the permalink. ← Writing 201 – the poetry challenge day one! aha, I had the same thought! What better example of perfect symmetry, right?! This is a great picture; you’re right to show it off frequently! I agree with all the comments this is a great shot and perfect timing. 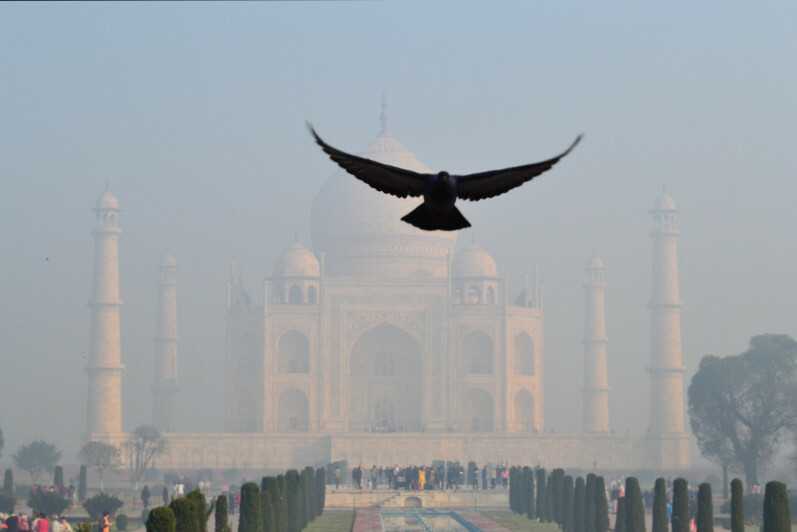 Look at that bird and the Taj in the background, double symmetry. I’m glad you liked it Seeker!